It is a commonplace among Christians to say that “truth is a person.” Of course, this is rightly drawn from Christ’s statement, “I am the way, the truth and the life” (John 14:6). However, most Christians fail to comprehend what it is that they have just said. That truth is a person is more than a convenient debating point. It says something about the nature of truth and how it is rightly expressed within the Christian faith. What we can rightly ask is, “If truth is a person, then what does the truth look like?” Many eagerly confess that Christ is the truth, and truth is a person, but immediately abandon that insight and take refuge in syllogisms. The action in Holy Baptism ultimately affirms the syllogism (the Creed), but embodies that confession in action. The confession of the Creed looks like the worship of the true and living God. And that worship is, in this instance, expressed in a bow. This is an important understanding when we turn our attention to other aspects of the faith – for the understanding does not change. A primary example is the Holy Eucharist. A great deal of ink (and even a little blood) has been spilt through the centuries in arguments about the nature of the Holy Eucharist. But on its most fundamental level, the Eucharist is eaten and drunk. In Orthodox practice it is not contemplated, nor given for show (as in the Western Benediction of the Blessed Sacrament). It is indeed reserved for the sick, but it is primarily eaten and drunk by the faithful, in accordance with the command of Christ. This pattern holds up across the entire spectrum of classical Christianity. And it is in this context that the veneration of the Mother of God (and of all the saints) must be understood. The virginal conception of Christ in Mary’s womb is also the union of God and man. He “was incarnate of the Holy Spirit and the Virgin Mary.” And as surely as He is of one essence with the Father and the Holy Spirit, so He is of one essence with the Virgin. He is God of God but He is also human of human. This theological fact, however, does not sit alone as an item of intellection: it is embodied in the life of the Church as is all truth. Thus, the Church honors the Virgin with the title “Theotokos” (“birth-giver of God”), as set forth in the 3rd Ecumenical Council. All of the veneration given to her in the course of the Church’s life is simply an expression of what it means to believe that she is truly Theotokos. The veneration of Mary is what the doctrines concerning her Divine maternity look like. Truth is a person, not simply an idea. Our salvation is not an idea. We do not ask God to think of us and have opinions of us throughout eternity. Reality with regard to God is not an intellection. If God thinks it – it is! Our salvation looks like deification and a resurrected body. The veneration of the saints is simply what that deification and resurrection look like in the life of the Church. The life of the Church is primarily found in her piety, in her worship of God, her prayer and fasting, and all acts of devotion. I beseech you therefore, brethren, by the mercies of God, that you present your bodies a living sacrifice, holy, acceptable to God, which is your reasonable worship [τὴν λογικὴν λατρείαν ὑμῶν] (Rom 12:1). If we believe, we should fall down and worship! If we hold something in honor, then we express it, in icons, veneration, lights and incense (in the words of the Seventh Council). What time has shown is that doctrines that are reduced to ideas alone, soon become forgotten or misunderstood. The absence of Mary in the piety of the faithful slowly becomes a distortion in the right worship of God-made-man. Christmas cards are not sufficient for the life of the Church. It is frequently the case that Orthodox (and Catholics) in the contemporary world are made to feel that their devotion to Mary and the saints has added something extra and unnecessary to the faith. Some complain that we have substituted them for God Himself. But it is in the world of contemporary Christianity that the great apostasy is taking place. The Trinity is abandoned for abstractions; the sacraments ignored for entertainment; Jesus becomes a slogan for bumper-stickers and t-shirts. Believers not only do not believe the classical doctrines of the faith, they do not even know them. Orthodox Christians sing them and breathe them, paint them on their walls and write them in their hearts. Truth is a person. All truth. Christ has so given us the truth that at every point, we may see it embodied in persons. The whole of the Church’s life and doctrine, is a true icon of the reality of heaven itself. There we will not think so much as sing – and fall down in the presence of the Truth. I have to confess, “truth is a person” always seemed like a category mistake to me. Truth as a word is an adjective describing a correspondence between a representation of the world and the way the world is. “The moon is made of cheese” as a sentence is true or not based on whether or not the moon is actually made of cheese. It just seems like calling a person truth is just using the word “truth” in an unusual way. Maybe I’m just not getting it. I’ve never had much patience for poetry, it seems like a glorification of imprecision in language. Argue with Jesus on this one. It’s His idea. I’m just living with the consequences. Of course, He also created thought, adjectives, nouns, correspondence, representation, the moon and cheese, etc. Father, I wonder if much of our current world view outside the Orthodox Faith and perhaps to a degree inside, is due to the choice to translate the Greek phrase at the beginning of the Nicene Creed as I believe. Belief in the Post Modern world has degenerated to accepting an idea or a fact that can be proven. I believe the light comes on when I throw the light switch. In fact, the Greek phrase so translated means far more than intellectual acceptance. The English direct literal translation is “I have faith into” which in Greek is an ontological statement more than a factual statement. It alters who I am by holding this faith and if I am changed then my attitude, behavior and character are changed to reflect my faith. How many discussions I have had with Protestant friends of mine who think merely accepting the fact that Jesus is Lord is all that is needed. One even said to me when I challenged that viewing using the same quote from the Epistle of Saint James, “what has behavior to do with salvation?” As they have diluted faith to an intellectual concept the disregard and outright rejection of the Mother of God and the Saints seems to be part of the same mental outlook. Can someone continue to be a Christian even if intellectually they have a hard time getting their beliefs to line up to the doctrines of the faith? I’d rather like to believe, but I seem to be having limited success forcing myself to believe. Christianity seems a good way to live and be, and I really don’t want to stop being a Christian, but after taking an exhaustive (insofar as that’s possible) look at the issue I can’t say that my brain is terribly convinced that Christianity is true. Do we even control our beliefs? I recommend a book by Archimandrite Meletios Webber “Bread and Water, Wine and Oil”. It’s most wonderful and will help you a lot. I would suspect that you might need a guide. It is surprising how much our “beliefs” are colored by cultural assumptions. Modern cultural assumptions can indeed make us very blind to the faith. It is not just seeing a different thing, but a different way of seeing. Most modern people tend to want to research and think their way there (if possible). But something very different is needed. My suggestion (I don’t know where you live) would be to find an Orthodox Church you could attend, and get to know the priest. It’s like learning a foreign language in many ways – things that are obvious – may not seem obvious at first, but gradually our ear becomes attuned to them. An additional thought (I’ve been in Church for the Vigil tonight). But the heart of Christianity begins at the Resurrection of Jesus Christ. Everything flows from that – both everything we believe about what came before that moment, and everything we believe about has come after. It is the central point and moment in the Christian faith. It is something that can be discussed in terms of “what is the historical evidence for it actually having taken place,” which is actually considerable, and it can then be discussed as to what it means – about Him, about God, about us, etc. That Habermas lecture is the best summation of the arguments I’ve seen presented. The historical evidence for Christ is better than most things we know about from before sometime in the high Middle Ages. Mary was a willing servant, the handmaiden of the Lord. If your mom packed your lunch in a bag, you would not say honor the bag as the source of your lunch, you honor your mom. God sent his Son, Mary was willing to be used. She was a sweet saint. To exalt her in any other way is idolatry. What you have stated is a serious error, and the example you give is a good illustration of why. Mary was not simply “used.” In your example, a lunch bag holds a sandwich. But, of course, the lunch bag is not part of the sandwich. But Christ took flesh of the Virgin Mary. Her womb was not just a bag holding Jesus. He took her flesh. He is flesh of her flesh and bone of her bone. God did not create some “other” humanity in the womb of Mary. 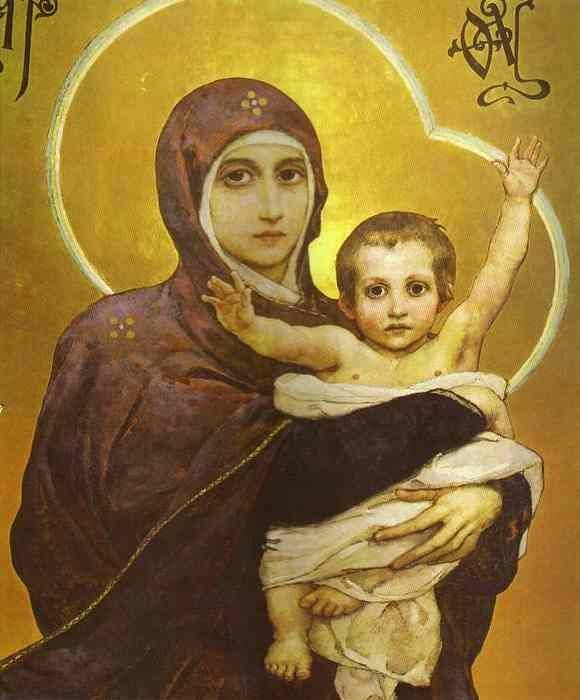 But like every child, Christ is truly flesh of His mother (without a human father). Her blood becomes His blood. His blood becomes her blood. She has a physical union with Him that is common to all mothers and their children (even more than fathers do). And the Scriptures are quite clear, “A sword will pierce your own soul also.” She had, from the moment of His conception, a mystical union with Him, such that when He suffered, she suffered. And because of all that, the Scriptures tell us, “All generations will call her blessed.” She is not just a “bag lady,” a borrowed womb for God to “use.” She is His true mother. She is truly Mother of God. And God honors her in accordance with His own commandment. And we must honor her, too, for, if she is God’s Mother (since Christ is also God), then she is the mother of us all, and we sin when we do not honor her. And we do not honor her as a borrowed bag. If you worship the flesh of Jesus (as indeed we rightly do), then, she actually has a share in that honor, for He took flesh from her. But the Church has never given worship to her, for that belongs to God alone. But inasmuch as it is possible to honor a human being (and it clearly is) then she is worthy of greater honor than any human being. You example shows that you do not rightly understand the human nature of Christ, and therefore do not rightly understand and worship Jesus. This has been a deep problem in much Protestant thought. But neither Martin Luther, nor John Calvin would agree with the error you have offered. They both held Mary in great honor. Modern contemporary Christians are inventing a new Christianity, not truly grounded in the Scriptures, but in the errors of their mind and misunderstandings. If you would be a true Christian, then you should return to the roots. Read the Scriptures as the Fathers read them instead of these modernist ideas. What you have suggested is not Biblical Christianity, but a new Christianity, that ignores the Scriptures. Sorry, but that’s the truth of the matter. On the topic of the bodily resurrection and the historical reality of it–how does this relate to the dogmatic icon of the resurrection in Orthodoxy vs. the Western type painting of a corpse walking out of the tomb. I remember hearing a Hopko talk on this topic. How are we to think (or maybe thinking is the wrong approach, experience maybe?) the resurrection (visually) and the Ascension for that matter? And what about the cosmic sense of it (outside of time)? If the Ascension is not too far off topic, what do we make of the idea that I hear in liberal circles that the the New Testament writers were working with an idea of a three-tier universe and therefore that the Nicene creed is mere poetry based on 4th century ideas and assumptions? You are right that the bag analogy does not do justice to the mother-child connection that Jesus and Mary shared. She is blessed throughout all generations. A sword did figuratively pierce her soul. I would also agree that Mary is not who we worship. Jesus instructed, whatever you ask the father in my name. He never suggested anyone petition his mother. He taught us to pray, Our Father. I rejoice completely that Jesus came in the flesh, and had flesh related to Mary. Yet remember, “God is a spirit and they that worship him must worship him in spirit and truth.” I am glad that he is the way, the truth, the life reconciling us to God. My relationship with him is in his eternal fullness, not his temporary experience as a infant. You too, by a lesser miracle, were conceived and born. I have not seen any image of you as an infant. Knowing you in your maturity I still understand you began as an infant. I do not fixate on your birth, but the fullness of your person. I can appreciate you without any knowledge of your mother. I think of Mary was, and is, the sweetest sister in the Lord, but attribute no magic significance to her flesh, even knowing she was the source of Jesus becoming flesh. That’s pretty cold Doug. Surely, surely you didn’t mean to come across that way! Please, reconsider your remarks. Interestingly, when Jesus gave the parable of the Rich Man and Lazarus, Lazarus is seen in Abraham’s Bosom. And, interestingly, the Rich Man prays to “father Abraham.” Of course, it didn’t work out for him. But Protestants fail to see what is included in the story. Christ Himself used an image in which a saint is prayed to, and it draws no comment, no surprise. The reason is because Christ was not a Protestant, and the tradition and practice of prayer to the saints goes all the way back to Him. We have no evidence of an early Church that does not pray to the saints. Praying to a saint is not worshipping a saint. Christ taught us to pray, “Our Father,” and yet Christians regularly and universally also offer prayer directly to Jesus and directly to the Holy Spirit. Your “God is Spirit” fails to do justice to the flesh of Christ. We still eat His flesh and drink His blood. And after the resurrection He said, “Behold My hands and My feet, that it is I Myself. Handle Me and see, for a spirit does not have flesh and bones as you see I have.” (Luk 24:39) You’re simply reasoning – and not according to the Scriptures. Why do you think the story and the phrase, “All generations will call me blessed” is included in the gospel of Luke? As an historical tidbit? No. Everything in the gospels is also there for its theological importance and our salvation. What you are suggesting is a reductionist version of the Christian faith, and not the fullness of the gospel. BTW, it is of interest to me that you say, “A sword figuratively pierced her soul.” Where in the Scripture does it say figuratively? That’s a modernist addition, not the faith of the Scriptures. I will not be surprised for you to say that we only figuratively eat Christ’s flesh and blood. Why not just say that He figuratively rose from the dead, and is figuratively God? This is simply false understanding. Sorry about that, Father. That juxtaposition of words and concepts did prime me for that one, which probably says more about the brokenness I’ve steeped my brain in for the past few decades than anything inherent to Doug’s actual point (though it seems Gregory may have seen something similar). That said, Doug, I can’t help but also read your 4:18 PM comment as an argument for Arianism: Jesus was incarnate, but God is merely spirit. I have no reassurance that this is not the intent. Please clarify what is coming across as cold. I do not feel cold towards anything concerning Jesus. Saying figurative about the sword is not that her experience was figurative, but I would not think of a literal metal sword somehow interacting with her soul. Do you feel that some sword, a piece of metal, literally penetrated her soul? In another place the scripture is spoken of as a two-edged sword reaching to the bone and marrow, but again that seems figurative, Paul was not literally sticking swords into people. I am not familiar with Arianism. I understand the scripture to say that Jesus was God incarnate. The word became flesh and dwelt among us. He took on the form of a man. God in the flesh, God incarnate is Jesus. Emanuel, God with us. When Jesus spoke of the father he said, God is Spirit and they that worship him must worship in spirit and in truth. How do you view Jesus and the Father? There is nothing figurative about Jesus’ death for us, his resurrection or ascension. Those are historical events. Communion is harder to understand. When Jesus instructed people that they must eat his body and drink his blood, many left. Was Jesus introducing cannibalism? At the last supper he took the bread, and the wine and shared it saying, this is my body, this is my blood. This was and continues to be an act of identification with his body that was about to be torn and his blood that would spill. Is that about placing robes in a tub of blood and having them turn white? How much literal blood was your head or body bathed in removing your sins.? This is just modern interpretations, rooted in modern theories, not in the Scriptures nor in the Tradition of the Fathers. I’m not really interested in contemporary explanations. The Fathers of the early Church were unanimous that we truly eat Christ’s body and drink His blood. You have this modern dichotomy between so-called “literal” and “figurative” or “imaginary.” This is rooted in the philosophy of Nominalism that only dates back to about the 13th century. The Fathers will sometimes use “mystically” to speak of a reality that transcends normal speech. But all of these things you present are just modern interpretations and not at all the meaning of the Scriptures. I indeed believe that I have been truly washed in Christ’s blood, and this is not imaginary nor figurative, but mystically and really true. The modern notion of things makes all of these spiritual realities to only be ideas in your mind or in God’s. It’s the “Two-Storey” universe that is a breeding ground of secularism and atheism. There’s so much to be said about this – that I would have to write a book. Actually, I did. It’s linked on the blog. Buy it. Read it. The exceptional significance of Jesus is that God became a man. He walked among us. He literally was born to a woman. He literally died on the cross. He literally rose from the dead, ate with the disciples, ascended into heaven. To say that any thing is somehow mystically real, but not substantially real, tends to undermine faith in the real, historical presence of God among us. Possibly all the stories of Jesus are only real in such a mystical sense. Those things were not happening mystically, like the experience of a ascetic in a cave in India. Jesus was here. I think Luke said it or maybe John, this is not about cunningly devised fables, but real history. John says it, We saw him. We handled him. We saw his glory. Real experience. Mary experienced real soul-piercing grief when her son was beaten to a pulp and hung on the cross. And then real fullness of joy when he returned from the dead. I think you’re missing most of this. When Christ literally dies on the Cross (agreed) He also bore the sins of all humanity. Most Evangelicals make that only a thing in God’s mind, but not actually a thing. But He clearly, truly and really bore our sins. Traditionally, it might be said that He “mystically” did this, in that sins are not sticky things that we “literally” put on His body or something. But you only have 2 categories it seems. Literal, which is real and true, and figurative or something that is only what someone thinks. So your only realities are material and psychological. This is simply inadequate to discuss Christian theology or the Scriptures. It’s actually only a version of modern Materialism. You are using the same categories as an atheist. He would agree that there is literal and psychological and nothing more. But the Scriptures are permeated with references to realities that transcend those two categories. What you are presenting is, unwittingly (because I’m sure you’re a sincere believer), a reduction of the Christian faith to fit in modern categories. If you can’t read the book, at least read this article. The Sword that pierced Mary was not just grief. That’s a psychologizing reduction of a spiritual reality. No, she truly and mystically participated in the sufferings of Christ. What do you do with this: “I now rejoice in my sufferings for you, and fill up in my flesh what is lacking in the afflictions of Christ, for the sake of His body, which is the church” (Col 1:24)? What do you think the word koinonia (communion) means? Protestant Bibles translate it “fellowship” which is among the worst translating mistakes I’ve ever seen. It means a true, mystical participation and sharing. And it occurs repeatedly in the NT. It is a central idea of the Christian faith that has been destroyed and ignored by modern reductionism. At best it becomes a psychological phenomenon. This is so weak. Reality is so much greater than our minds. If you would believe the Scriptures, then you need to get rid of these modernist categories and learn to see the world as the Scriptures see it. Could you share how you define “contemporary Christianity” as used in this post? Faith is the substance of things unseen, as stated in Hebrews 11 I think. That is not that our thinking gives unseen things substance, but our faith sees the unseen that is there. There is certainly an upper storey and activity in the heavenly realm. That realm does not seem mystic, but substantial. As the eyes of our inner man are opened, the substance in the presence of God will be so strong, that our present experience will seem more likely the dream. I often use “Contemporary Christianity” to mean both Evangelical and Mainline Protestantism. It often extends into more Americanized versions of Catholicism as well. I mean Christianity that is intellectually rooted in the thought forms of the Enlightenment and Post-Enlightenment, often with a consumer-culture aspect as well. Some of the more doctrinally rooted groups don’t fit as well, though, even there, it is generally the case that doctrine has been rethought in the categories of the modern world. Doug, here, is a case in point. Clearly, he is a believer, but his world-view is no different from a secular atheist. There’s just material stuff and psychology. There is no way to put sacraments or the bulk of the Christian faith into that little container without tearing the guts out of the classical Christian faith. Your scriptural references do point to a spiritual experience for Mary, and Paul, and ourselves in Koinonia that is not psychological. I was not intending to reduce the spiritual realm to the psychological. My reasoning was going in that direction. By “mystical” I do not mean something unsubstantial or merely psychological. It’s a term used in classical Christian thought to refer to something quite real, that might not “appear” for us. Faith is indeed the primary manner for apprehending it. Many things spoken of in Scripture have this unseen reality about them. The Eucharist, for example, is not just a reminder of something Jesus did, but is an eternal reality, the Body and Blood of Christ, in which we really and truly participate (koinonia) and not simply in a mental way. It truly imparts grace if we receive it in repentance and with faith. Jesus died on the Cross in a truly historical manner. But there’s more to it than that. Rev. 13 speaks of the “Lamb slain from the foundation of the earth.” Christ was mystically, truly, and really ALREADY slain even before the world was created. That mystical, true and real Cross was made manifest in history in the crucifixion of Jesus. But it was already true. Another example: Christ is the Alpha and the Omega, the Beginning and the End. He is, was and ever shall be the End and the Beginning. Thus wherever He walked, it was already the End of the world. That End will also be made manifest in time, just as the Cross was, but it is already true, and not just in a figurative, psychological way. To think correctly about these things, you have to have an understanding of realities and categories of reality that transcend the mere literal and psychological. This is the fullness of the Christian faith as held and taught by the Fathers through the centuries. This is the reality and understanding that gave us the martyrs and the saints. Father, your conversation with Doug reminded me of the first time I came across the one-storey world view. I was on the mission field with a Pentecostal denomination and became friends with a fellow believer who was a Nigerian woman. She invited me over to her place for a Nigerian meal. She was truly impressed that I ate everything, though much of it was unfamiliar to me (and not all my preferred textures and flavors to be frank), and announced that in partaking of that meal I had embraced and been embraced as being family to her because in her traditional tribal culture sharing a meal is sharing your very life! She stressed it is not like in the West where you are just eating together. It clearly meant something very deep. It was my first glimpse in a concrete context of the sacramental world view of the Scriptures. Examples like that show the spiritual poverty of the modern world. We not only do not experience anything more than psychological or physical things, we cannot imagine that there is anything else. It’s like arriving in a village where everyone has this wonderful palette of paints and brushes, and you’ve only got two crayons, black and white. Or even worse, you visit in a world filled with colors where the natives describe them to you, but your eyes only see black, white and shades of gray. This is a very apt analogy of modern man and his spiritual poverty. It’s certainly the case that you can get a sort of outline of reality with black and white. But beauty will largely be missed, and there are so many things that will not be seen. Just as I know many believers who are not of the Orthodox tradition who do know and believe the classical doctrines of the faith (though we would disagree, likely, on some of what that may include particularly); I would venture to say you know people who are within the Orthodox tradition who confess with their mouths yet don’t believe with their heart. The disconnect between belief and response is not a phenomenon that exists solely within Evangelicalism or Protestantism, as your quote from St. James aptly displays. It is as you say, that there are among Evangelical and Mainline Protestants those who value the classical doctrines and believe they are very important. It is, of course, possibly too large a brush. But, there’s a world of difference still between those who hold certain of the classical doctrines (Trinity, etc.) but in fact are still deeply encumbered in a modernist world-view. The sacraments are a case in point. The more thoroughly and truly sacramental reality is embraced, the less possible it is to be either mainline Protestant or Evangelical. It is one of the reasons so many find their way from there to Orthodoxy or Catholicism. I think it is incumbent on those who are rightly incensed when the Trinity is abandoned for abstractions and the sacraments ignored for entertainment, to ask how this is even possible within the church life. Something is wrong at the very roots. Probably the most fundamental error of all Protestantism is in its ecclesiology. It began as an attack on the Church, and it never(!) solved the problem of what the consequences of that are. The result has been the invention of denominationalism – a frankly heretical treatment of the doctrine of the One Church. I know its rooted in the historical mess of the centuries that went before us…but it is not a sin that is incapable of repentance. I know, I’ve walked that road. There are certainly plenty of sinners within Orthodoxy. In fact, we actually have the chief of sinners among us every Sunday. 🙂 But those sins and lacks have not been institutionalized and used as a lens through which doctrine, faith and practice are distorted. I don’t mean this to be banging the drum of triumphalism. No Church is more sinful than the Orthodox. No Church is more broken. But it is the Church that Christ founded, complete with the teachings and practices. It is here alone that we can find the fullness. If Evangelicals and mainline folks are recovering things they have lost, they will almost invariably be reading Orthodox stuff. Where else could they go? We look through the church’s history and are rightly upset by the fracturing of the Messiah’s community. However, we must also remember that He has also used these movements to bring many back to orthodox belief and response. I can’t begin to imagine the Father’s plan to bring unity to His followers now as it will be in Heaven. I deeply long for it. In the meantime I will pray for it, speak for it, and to my best ability live it. All the while I will rejoice when I see Him bringing all of us to His truth whatever our current tradition. For these reasons, I must say that it is in ‘Him’ alone that we can find the fullness. Neither ‘here,’ nor ‘there.’ I don’t mean this to be trite or pithy – I do mean it to extend our understanding of His reach, His glory, and our salvation; to recognize the reality that our Father has done many marvelous works through history where ALL of us have knowingly or not worked against Him. No. Protestantism is and was a historical error. That Orthodox continues to exist and persist is the lone anchor of Christianity. The Church is the “fullness of Him that filleth all in all,” according to Scripture. But almost all the verses regarding the Church in the New Testament are either ignored or their meaning is changed to fit the disastrously sinful distortion that is denominational Protestant Christianity. You do not see how profoundly those ecclesiological errors have damaged the actual substance of the faith and distorted it. But by lumping the Orthodox in with the “ALL” of history, you simply dismissed the faithfulness of the Orthodox and tell us that we are either liars or mistaken about who we are. I know you intend to be gracious, but it’s a graciousness that asks me to deny the faith once delivered to the saints, and the oath I took when I was received into the Church. There is no “generic” Christianity. There is Orthodoxy and there are other groups who deviate in one way or another, more or less, from that true faith. We share a lot, but we are not one Church. What you described could only be true is you adopt a purely modern, Protestant doctrine of the Church that rejects everything the Fathers and the Scriptures teach about it. These sound like hard words and even ungracious. But the only way I cannot say them is to renounce the Orthodox faith. That’s who we are. Thank you for your response to Chris on Sept. 9, 2015. You are correct that there “is no generic Christianity.” I recently told a seeker in Orthodoxy, that if there were no Roman Catholic Church there would be no Protestant sects. Which is a deviation from a deviation. However she asked that her close friends who adhere to sola scriptura and are very committed Christians, would they be saved in the last judgement? My response was that only Christ is judge and we cannot preclude His wisdom and mercy. But I can assure that all have sinned and no one can assume salvation. We are in a constant state of mentenoia. Was I correct in my response? Technically correct but probably disturbing. Many sola scriptura types also have some notion either of “once saved always saved,” or the “perseverance of the saints.” Casting doubt about the ultimate outcome suggests that they are not now Christians. I usually try not to do that. I generally say that I have no doubt that they are Christians and we trust in the mercy of Christ. St. Augustine said, “There are some whom God has whom the Church has not, and some whom the Church has whom God has not.” Or so I’ve heard. All baptized Christians (and even all of creation) has some sort of relationship with the Church. The exact nature of that has not yet been revealed. But we see it. When I meet someone who confesses Christ as God and savior, I know I’m meeting a believer and that my relationship with them is different than it is with a non-believer. But St. Paul tells us that “God has purposed to gather together into one, all things in Christ Jesus, things in heaven and things on earth, together in Him.” Therefore, I like to say that the Church did not begin at 33 a.d. but when God said, “Let there be light.” Church is the Fullness of Him that fills all in all – and that fullness will ultimately contain everything that can be contained. Out of curiosity…does the Eastern Orthodox view of the Oriental Orthodox differ from its view of Protestants and Roman Catholics? (There have been joint Christology statements, correct?) Does the Eastern Orthodox Church view the Eastern Catholic churches who are in communion with Rome the same as it does other Roman Catholics? Yes there is a difference. Though there is a schism between the Eastern Orthodox and the Oriental Orthodox, it is generally recognized that they are perhaps closer to us than any other group. We receive them into Orthodoxy through Confession alone. The Eastern Rite Catholics are seen as Roman Catholics. Roman Catholics, generally, are received by Chrismation. Although the Russian Orthodox Church Outside Russia baptizes all converts. They are alone in this practice (with the exception of a few monasteries). In all of these ecclesiological questions, there are matters of degree. This was recognized even in the early canons regarding how to receive heretics and schismatics back into the Church. It’s not neat and tidy, and Orthodox recognizes that. But the messiness is not a disturbance within the existence of the Church. It’s just a messiness. Father, thank you for your comments from 11:49 today. You hit the nail on the head for me, and why I’ve left evangelicalism and wish to become Orthodox. Your comments on how the verses on The Church are ignored by evangelicals are of course correct, and for me, constitute one of the main reasons for my leaving that movement. Though it is never specifically described in that manner, it is indeed the primary sin that is being forgiven. Mind you, Orthodoxy recognizes sin that is also not voluntary, and even unknown. We have a very different view of sin than the Catholic Church. These sentences in the Catholic Catechism are very modern, part of its own internal Vatican II reforms. Orthodoxy has to be satisfied with the ancient canons in the matter. Unlike Rome, we would not venture to say what is outside the visible confines of the Church. Do you wish to unite yourself to the Orthodox Church? Yes, Father, I do, with all my heart. Orthodox Church by the seal of the Gift of the Holy Spirit. Do you accept the dogmas, teachings, liturgy, canons, discipline, and moral principles of the Orthodox Church? the teachings and traditions of the Orthodox Church. accordance with the teachings of the Orthodox Church? There are versions where specific heresies of Calvinism, or Lutheranism, or Romanism, etc. are renounced. But under it all is the sin of schism. Again, Orthodoxy’s view of sin is quite different than the more forensic approaches in the West. The “sin of schism” is simply a fact a reality, not a choice or a decision. It’s where you find yourself. But even though it may not have been a choice or decision, it is still quite real and in need of naming and healing. Orthodoxy has a much more ontological approach in all of this. I don’t feel at all bad that I was once a Baptist or an Anglican. They were what they were. I was born into the first and converted to the second. The weight of that reality, however, certainly had its effects. The “sin” of Anglicanism is actually quite profound for some – it was for me. I didn’t enter Orthodoxy as a triumphant conservative…I came as a sad penitent. I needed healing, not triumphalism. I needed to be healed of the many burdens created in the English Reformation, as well as the burden of liberalism and moral decay. I needed to be healed of the burden of compromise and constant prevaricating. I needed to quit telling lies. And it’s all still quite difficult. To live an authentic existence is very hard. It’s easy to just despair, say that it’s not my fault, and get on with a nice, normal, hedonistic existence. Father, I’m sorry for the two posts in a row. I meant to add this. Thank you so very much for continuing to bang this drum about modern thought and a one vs two storey universe. As you know better than I, all of us Americans, even those of us who were raised going to church every Sunday, have drunk deeply from the well of modernity. Sadly, modern, secular thought is a part of our fiber, our very DNA. Much, perhaps most of Christianity in American today is deeply gnostic. The ideas that we give mental ascent to are what we think makes us Christian. If I may be so bold, I’m asking you to please continue writing about this vital issue. You are the only one I know of who regularly writes on this. I (and I suspect others) need to really get this, and in order to do so, we need to keep hearing it and we need to keep reading it. It’s like trying to explain to a fish what it’s like to live outside of water. It’s very hard for us to get it, but we desperately need to get it. 1.) Turning my back on the ACNA (Anglican Church North America) friends that have been there for me all these years, especially during trials and crisis. (Maybe you can help me see how I’m not doing that. 2.) Creating a schism (if that’s appropriate language) in my marriage and larger family. Fr. Freeman, thank you for your endless patience with me. Re: circular reasoning, I think that general accusation would apply to any of the churches that claims to be the One True Church. However, the RCC is worse in this, in that the circular reasoning is explicitly self-serving in favour of institutionalized people in power in a way that is much harder to accomplish with a conciliar and frequently “bottom-up” (cf. Council of Florence) model, as opposed to the rigidly “we will tell you what you need” top-down nature of RCC doctrine. That incidentally is one of the reasons I am glad I found Orthodoxy before I might otherwise have become Catholic. A cursory look at the crucial doctrinal matters addressed in the 7 ECs versus the 14? 21? Catholic councils suggests an enormous amount of institutional feature-creep, aided by a very efficient, very worldly government that is continually meddling with things and trying to improve them. – The toxic fruits of the intellectual scholastic tradition, in stark contrast to the life-transforming hesychastic tradition. – The kind of triumphalist chauvinism you get. With the Orthodox it’s generally pretty obviously nationalistic jingoism gone unchecked, while with the Catholics one gets a certain sense that they are blind (or have systematically blinded themselves) to their aggression (which may be nationalist, sexist or somethihng about “enlightened” “Western Civilization”) being even potentially anything other than the doctrine of the Church itself. – Every objection to the papal claim that the Reformers and the Orthodox have in common. – The fact that the Reformers were able to come to those conclusions independently of anything from the eastern side of the Great Schism. – The reliance of both the doctrine of transsubstantiation and penal substitutionary atonement on pagan ideas that have nothing to do with Jewish tradition, Divine revelation or the Gospel, nor anything common to human experience: respectively, extreme and unfalsifiable essence/accidents distinction, and Frankish honour code where the serverity of an offence is based on the status of the person wronged. – The fundamental distinction in what each Church means by “unity”, as Frederica Mathewes-Green puts it better than I ever will. – The legalism of RCC thinking. Everything – especially the fixation on “infallibility” in the article you linked – smacks of trying to come to some legal, black-letter, coercive right to rule and dominate that itself is repugnant to the spirit of the Gospel and the doctrine of free will. I sense in Fr. Brian’s words a disturbing level of deep-seated authoritarian fear of uncertainty that would be a sin to repent of in the Orthodox Church but, it seems, something to be celebrated in the Roman Church. Sorry if this is turning into an anti-Papist rant, but it seems necessary to pull out some of the more toxic assumptions in that article to show where that accusation of circular reasoning is coming from (as opposed to stopping at “I think that general accusation would apply…” and concluding that one ought to be an atheist!). I understand both 1 and 2 quite well. Number 3 is just a poorly informed guy, who seems to mostly know Orthodoxy from the internet. He just doesn’t get it. At. All. On 1. Brothers in Arms is quite powerful. I hated that part. Ultimately I did what was right for my salvation, and the best of them understood (and some followed later). “Doing what was right” was what was always lacking among the so-called conservatives in ECUSA. There was always some good reason for not doing what was right. I was a very loud voice on that matter. I and Fr. Al Kimel were two of the first (maybe the first) voices that suggested breaking communion as an appropriate response to the growing apostasy. A couple of bishops took the advice (we published an article after circulating it privately in the house of bishops) and, indeed, much that gave rise to ACNA itself came out of movements that flowed from that impetus. Of course, Al and I are both Orthodox now. Marriage and family a very, very strong considerations. I generally counsel people not to act separately from a spouse unless the spouse really agrees with it. God is the one who is patient…with all of us! Thank you very much Fr. Stephen. Prayers from you and this blog community would be appreciated. Just like the people who fasted and prayed for you to quit smoking. I’m being bold to ask. Forgive me. Don’t deserve it, but need it and my family does too. P.S. Can you suggest an Orthodox morning devotion? I have been reading the Roman Catholic lectionary and reflection. At night I pray the little rule of St. Seraphim. Thanks so much. Can we correspond offline? Boyd: Prayers for you and Mrs. Camak. Christopher: Thanks for the link! On the face of it it seems to be only about predestination, but I think I see how it’s part of the larger (longer?) thread of thought. Boyd, have you read Fr. Laurent Cleenewerck’s rejoinder to the Catholic Answers article? Incidentally, Fr. Cleenewerck’s His Broken Body: Understanding and Healing the Schism Between the Roman Catholic and Eastern Orthodox Churches is the most objective, detailed, and fair exploration I know of the differences that separate the two Confessions. 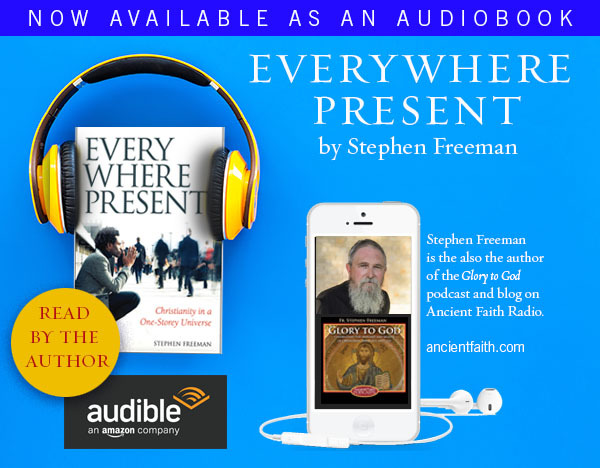 There is an interview with the author available somewhere on the Ancient Faith website. Marc, that is an excellent response – so good I’m a little scared even of tainting it with my endorsement now. Like a beautiful flower growing out of the mud. I think that John Scotus Eriugena is a neglected treasure “of the West.” I am deeply dismayed at the many Westerners who describe him as uniquely “Celtic.” All that is beautiful and true in so-called Celtic spirituality is simply Orthodoxy which was deep and continued among those people for a long time. John Scotus demonstrates very well both the error of the Franks and budding scholasticism, but also the fact that their error was very discernible by a Westerner. He is labeled a “mystic” and a “neo-Platonist,” but the same things are said about many of the Eastern fathers. He’s pretty much just a fine Orthodox thinker whose existence was long suppressed in the West because it was too inconvenient. I would there were more Orthodox treatments and explorations of his work. Marc. Thanks so much. Very helpful. Forgive my ignorance, but does the Roman Catholic Church teach penal sub? One of the greatest gifts that Orthodox theology has given me is uprooting the Calvinism of R.C. Sproul as articulated in his book Chosen By God, which I read in high school. Calvinism did a lot of damage to me. Maybe I’m conflating penal sub and Calvinism, but they both are awful. Please correct any errors in this post. I’m a blind man groping in the dark. I whole-heartedly agree that I don’t hear what I’m saying from the perspective of the historic Orthodox Church. That would be falling prey to one of modernity’s great deceptions and ignoring that I have inherent biases and perspectives (known and unknown) when attempting to see an issue from an ‘other’ viewpoint. However, please afford me the same kindness by not putting words and assumptions into my post that aren’t there. I never did, nor would, say that we’re all just Protestants doing the best we can until Jesus comes back. Nor did I, or would I, claim that Orthodox Christians are liars. If you continue to say there are followers of Christ outside of Orthodoxy – you must say they are in Christ. If they are in Christ then they are in His body as there is only one. I don’t see how you can maintain one without the other. The only other recourse would be to say that you have to be Orthodox to be a follower of Christ and anybody outside has no hope of salvation. If by THIS I am saying you are mistaken about who you are, then so be it. I could be no less faithful than you to the faith that has been passed on to me should I say otherwise. The question of the Church is a difficult matter when comparing how Orthodoxy understands it and how modern denominational Christians see it. I’ll give more thought to how to say this more clearly. Penal Substitution was first show cased in the writings of Anselm of Canterbury, a Roman Catholic who acceded to the Archbishopric of Canterbury. In the lines of other parts of the discussion, it might be fair to say, it is a product of the Frankish captivity of Roman Theological thought. There are newer theories of the atonement in Roman soteriology but this idea remains influential. It is a cornerstone of many Protestant denominations and is featured in many hymns. It seems to be a way of explaining the Frankish concept of justice and a God that demands satisfaction for injuries to His Honor. In light of this, I would say it remains a core understanding in Roman Catholicism as well as Reformed and Arminian thinking. When I was a Protestant, a Protestant Seminarian and Pastor I heard and gave many sermons with this doctrine at the core. It was also the very contradictions built into this theory that got me to start questioning my faith and heading down the road home to Orthodoxy. Thank you for your response to my post on Sept. 9th. My concern is that I would be a stumbling block or a source of error to another Christian. Your explanation gives me clarity. Thank you for your response to my post on Sept. 9th. It helps clarify my response to others. Yes there was scholasticism in the East. It was a powerful intellectual movement in the Mediterranean world. I was decisively put to rest with the Palamite Controversies of the mid 14th century, when the Church finally and clearly championed the Hesychast Tradition over scholasticism. On nominalism, Richard Weaver identified nominalism as when the “rot” set in in “the west.” I used to fret about the decline of western civilization and was reading this http://tinyurl.com/3fhjql several years ago. If memory serves, “the west” was referred to on this blog as a “tissue of lies.” These days, I’m trying to focus on my own salvation, leaving these larger issues to those over my pay grade, but I thought that you might find the book interesting to know about. I found the book unsatisfying, as his proposal for rebuilding “the west” was on a foundation of property rights, if I’m not mistaken. But you can ask any lawyer what a non-existent foundation that is today. The book was originally published in 1948. Agreed. I have always intended to look more directly at him, but it is always on that part of the list that I never quite get to. Weaver’s “Ideas Have Consequences” is one of those little “conservative” gems that has been influential to so many, particularly those like myself during our college years. Weaver was a “southern agrarian” if memory serves. However, it never truly escapes the limitations of a “cultural/political” critique that rests on the very foundations that brought things like nominalism into existence in the first place. The classical liberal pillars of minority rights, property rights, limited government, and a cultural Christian ethic (which “conservatives” like Weaver have to assume for their vision but never put forward a believable theory as to why such a traditional protestant ethic can/should/will survive histories acid) of the body politic is of course the very foundations upon which the old “liberal culture” was built (such as our now dead-because-it-is-living “Constitution”). It’s all history now, as our modern culture is decidedly “post-Christian”, post limited government, post “rights” and post Constitution classically understood. It is all very modern, tyrannical, and even dangerous (it is truly a cultural of death). It’s best to focus on our salvation in this or any other worldly age. Anyone: How should contemporary American Orthodox Christians properly handle their citizenship, their right to vote, etc. There’s no one way. Some will be called to one thing, and others another. Some will serve in government, others will be active in political parties. Others will stay home and ignore the whole thing. And all of them are correct. Citizenship and right to vote are not inherently Christians duties. Use them if you wish. St. Paul used his citizenship. But the State has not inherent claim on our lives. Hauerwas notes that in democracies the idea is fostered that the state belongs to all of us and we are all responsible. He notes that this is used to make “all” of us go to war. It’s the maximum. In a monarchy, only the king goes to war. The rest of us serve the king. But it’s his war and this actually puts a limit on things. “Total war” in which civilians become targets as well as everything else is a natural or logical assumption of democracy. But this is a fiction. It’s still just the state, regardless of how it seeks to legitimize its actions. And it is still subject to the judgment of God. “It’s the law of the land” means nothing in the eyes of God. If a law is unjust, it’s simply unjust. In some situations, it is even possible that Orthodox citizens might take up arms. Solzhenitsyn criticized Tolstoy citing the evils of the Soviet state and said that against such evil we should indeed take up arms. He participated in at least one prison camp uprising, for example. The Greek revolution against the Ottoman empire was certainly blessed by the Church in many places. It began on Pascha, because that year Pascha coincided with the Annunciation, which is considered the most holy possible day on the calendar. And the revolution succeeded. None of this is about Western just war theory. It’s just about the messiness of life. Re: government, duties etc. : What a relief! Also, as an Eagle Scout, this confirms my apprehension of the whole Boy Scout movement. Witness the scout oath: “On my honor, I will do my best. To do my duty to God and my country and to obey the Scout Law; To help other people at all times; To keep myself physically strong, mentally awake and morally straight.” I was especially apprehensive about the “God and Country” “awards” which were officially given by the churches (Protestant) or other religions. I don’t know if Catholics or Orthodox have these awards, but I do know of Boy Scout troops that meet at Catholic churches. The older I get the more I think that the whole thing is just American Civil Religion + encouraging the worldly achievement culture. (Oh, and the Order of the Arrow, within the Boy Scout movement has a lot of roots in Masonry, I think. Boy Scouts and their leaders are well intentioned, however. One more thing. Is orthodoxy properly called a “religion.” That word seems to have a lot of baggage, and I’ve never been comfortable with it. And what about children saying the Pledge of Allegiance–from a parenting perspective. On religion…Fr. Alexander Schmemann definitely said it is not a religion. But it depends on definitions. On the POA, it’s clearly a parent’s call. I personally am not able to say it because I don’t believe it. Historically, it’s a sort of neo-fascist thing anyway. But many have a visceral sense that it’s just part of being a good, loyal American. I have no argument. I think this about right. As the “American Civil Religion” rapidly changes (actually, it is already changed) into something that is Anti-Christian instead of a mistaken form of it, I think things like the Scouts will be increasingly hard to cooperate with. Indeed, the Scouts are slowly but assuredly succumbing to the homosexualist agenda like every other institution. I have a soft spot for such things as Scouts, POA and the like, as I do think they are an imperfect attempt to further the good – and they so obviously help (some) young grow into men. However, as the definition of “what it means to be a man” has changed, they are no longer as helpful. Can someone explain for me the relationship of church and state in the Orthodox world? I.e. Greece. And then there’s Russia and ROCOR. And then the Antiochians are not really in Antioch anymore, if memory serves. Not trying to critique. Just confused. Oh and then one church granted autocephaly to the OCA but it was controversial, right? I understand that the faith and doctrine is the same across the board, but then some churches rebaptize protestants and some don’t. Is it a provisional baptism? I.e. one to make sure that it was done properly. 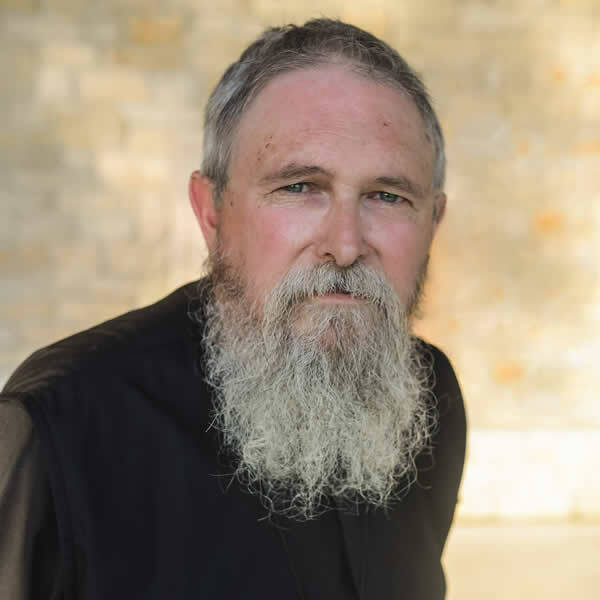 One Orthodox priest told me that the Catholics were too legalistic, and the Orthodox were too close to the government–maybe he was just dumbing it down for me–not always a bad idea. What does this have to do with the Truth of Mary? The Church in Greece is the official state Church, much like the Anglicans in Britain. But this is the only place where this is the case. The myth of “too close to the state” is an old canard that is trotted out. Oddly, it has been used by Protestants who, in Europe were almost always state churches. But, none of the others are officially state Churches. In some places, they are by far the dominant presence in the culture, and the culture was formed and shaped in an Orthodox manner. So, in Serbia, Romania and many other places it is a very strong presence. They are strong enough that the state pays good attention to them and it keeps things from being too secular. In Russia, the Church has closeness to the state in many ways (they have religious education in schools now). But it is by no means run by the state. American Propaganda hates Putin and likes to attack the Russian Orthodox Church – but it is mostly very, very false propaganda. In what is called the “diaspora,” the various mother Churches have their representations, and this creates overlapping jurisdictions. This situation occurred because of the Communist revolution and the mass immigrations of the 20th century. It is being studied in order to correct it. “Autocephaly” is a status that means the Church is “self-headed,” i.e. it has its own patriarch or metropolitan chosen from its own bishops and governed by its own Synod of Bishops. The OCA is the daughter Church of Moscow, and was granted autocephaly by Moscow in 1970. Constantinople disagreed with this and claims that it alone can grant autocephaly (a disputed point). The autocephalous churches which oppose the OCA’s autocephaly are the Church of Constantinople, the Church of Alexandria, the Church of Jerusalem, the Church of Cyprus, and the Church of Greece. However, these Churches recognize the OCA as a canonical church and their representatives concelebrate services with OCA clergy. It is a technical matter that is being discussed. It is not a matter of the OCA being a “canonical” Orthodox Church or not being in communion with others. I am a priest in the OCA. The State nowhere has any say-so in Orthodox practice or doctrine, nor does it appoint bishops (unlike the Anglicans in England). Orthodoxy has been the most persecuted group in history. More Orthodox Christians died by state persecution in the 20th century than all of the martyrs added together in previous centuries. So, it’s kind of stinging and insulting when people say we’re too close to the state. Now, if Russia reinstates a Tsar, he might very well have the same religious role as before (probably modified). As a sovereign, there are small privileges extended to him. For example, he receives communion in the altar with the priests and bishops rather than outside the altar with the people. But this does not apply to his wife and children. Americans don’t understand this sort of thing because of the so-called “separation” of Church and state. An Orthodox ruler, as far as the Church is concerned, has duties to his/her people, and the Church, because he is appointed by God and is accountable to God. The Church in Russia (Patriarch Kyril) has certainly been invited to advise on moral matters. Thus, Russia, has been curbing the previously liberal laws on abortion and permits religious education in the schools, etc. Father, forgive me if I seem ignorant but I am still beginning only to read, and there is so much to read here. I am struck by your opening phrase ‘truth is a person’ because it sounds so much like my own turning to the Orthodox faith. I have to say that came quite unexpectedly as I attended discussions on Dostoievski’s “The Brothers Karamazov” – for me the greatest novel ever written. Persons in that novel are truths of a sort, and figuring out in the discussions how that could be so, of a sudden I saw that the evangelist Saint John was a person who loved Christ with his whole being very much as did Alyosha love Father Zosima. Doestioevski’s little son, Alexey, who was only three years old, had died of the illness given to him by his father – out of that suffering he wrote this beautiful novel, I believe to bring us his son as a person, a truth. Of course, it is a fictional tale, but still in the context of the discussions, with other persons in dialogue, I have to say the personhood and truth of Saint John transfixed me. I had never thought in those terms about the evangelists until then. They suddenly became real persons. But such a profound answer can only be lived – it is not enough to say it. And this is Christ’s response. He is silent before His accusers, except for the eloquence of His voluntary crucifixion and death. God’s response is not words, but His very life. Robert, though tangential, Boyd’s question has to do with proper order in the life of a believer. The Truth About Mary is note central to such order such a question naturally raised in approaching the question. Life in the Church is not linear. I would further emphasize with Fr. Stephen that as our culture and our politics becomes more ideologically secular and egalitarian there is less room for religious faith in matters of state. Yet it is only Christianity that is criticized not Islam or Judaism or Hinduism. In fact there can be no such thing as modernism posits separation of Church and state. It is impossible. There are reasons for that which ate not unrelated to Mary too. Amen to the original post. Amen and Amen. Thanks for a great sermon for the Dormition of St. Mary, Theokotos.